It’s no secret that good bait catches more fish. 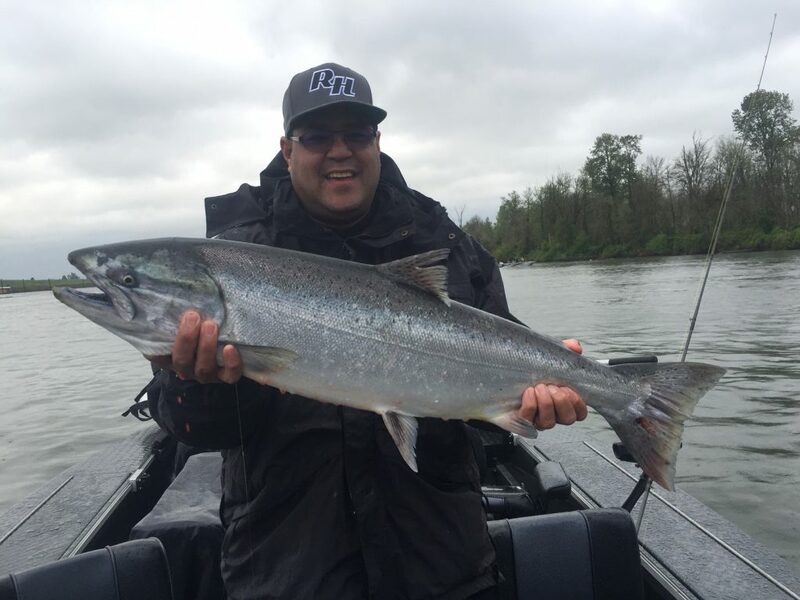 When it comes to springer fishing, having well cured bait marks the difference between a poor and successful day and being a full time fishing guide poor outings aren’t an option. My job is to put fish in the boat daily. I accomplish this by showing up with an assortment of quality baits. The bite can be finicky and change hourly. 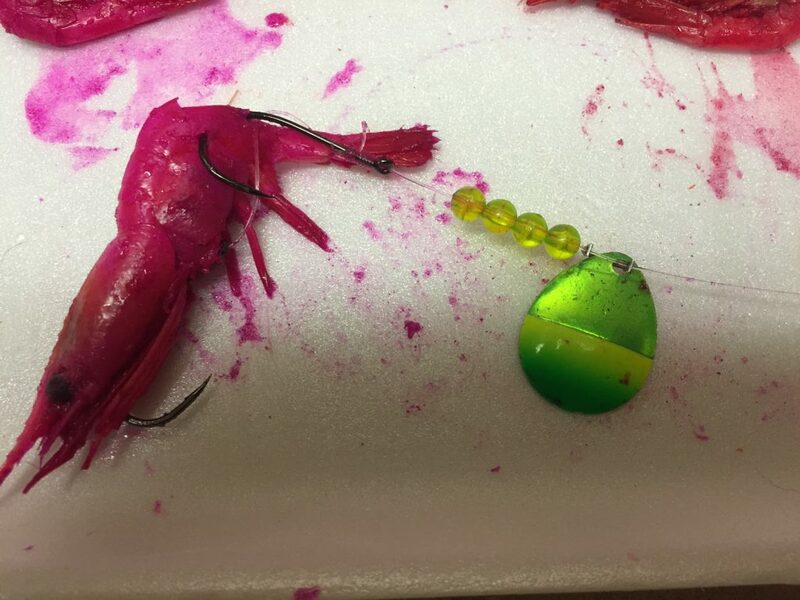 Restricting yourself to one bait can make things tougher. The morning might start off as a herring bite, but by 1 p.m. prawn spinners can be the ticket to getting that one more keeper. The water temperature on the Willamette is rising. 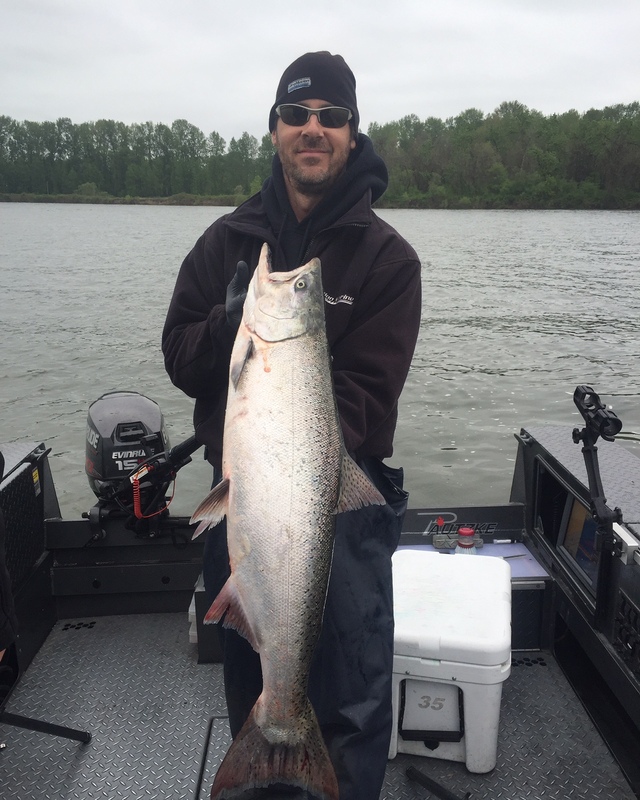 The Multnomha Channel was around 55 degrees as of 4/21/16 and the Harbor area has reached 60 already. This temperature rise historically has signified a prawn bite. The question is, do you have good prawns? 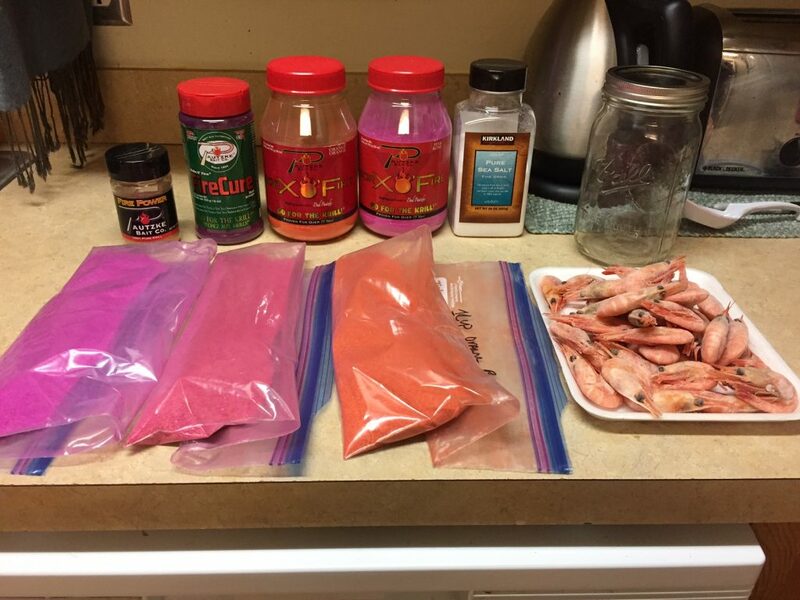 Adding prawns to your arsenal is a must to increase success. Prawns have saved days for me and made me a hero and not a zero on tough days. 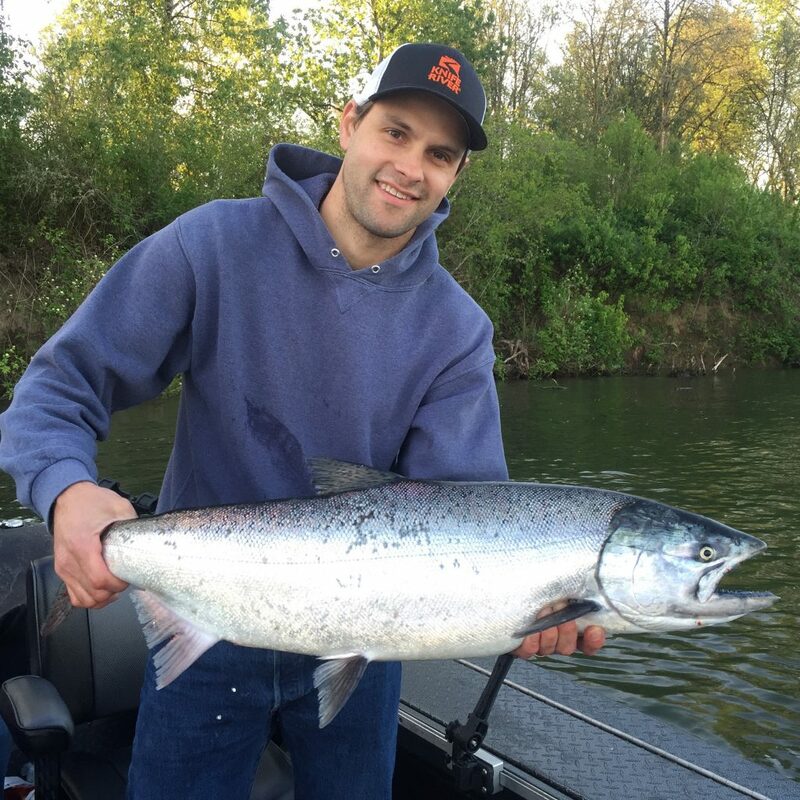 Prawns work great trolled in a spinner set up in the Multnomha Channel and the Harbor. They can also be back trolled with a jet diver and back bounced at Oregon City. 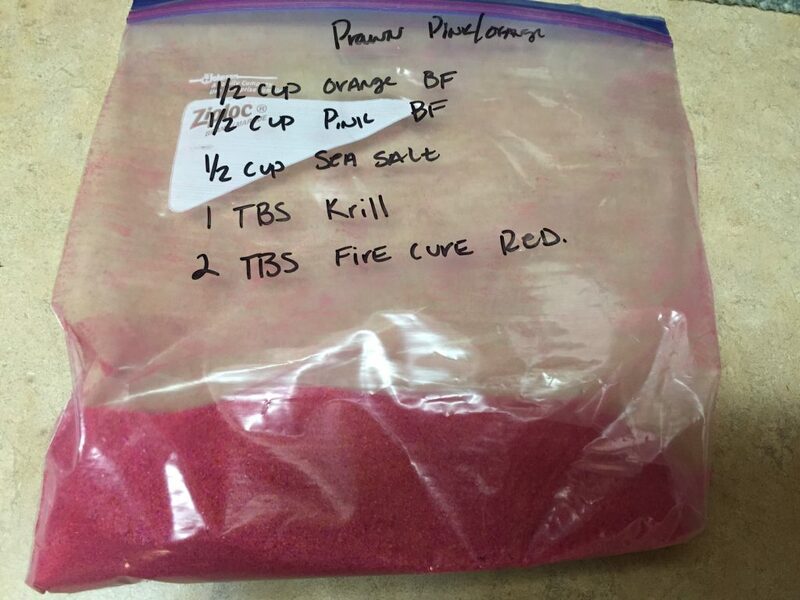 Trying to come up with a simple, yet effective method to cure prawns, I’ve been working on wet brines and dry cures for ages. 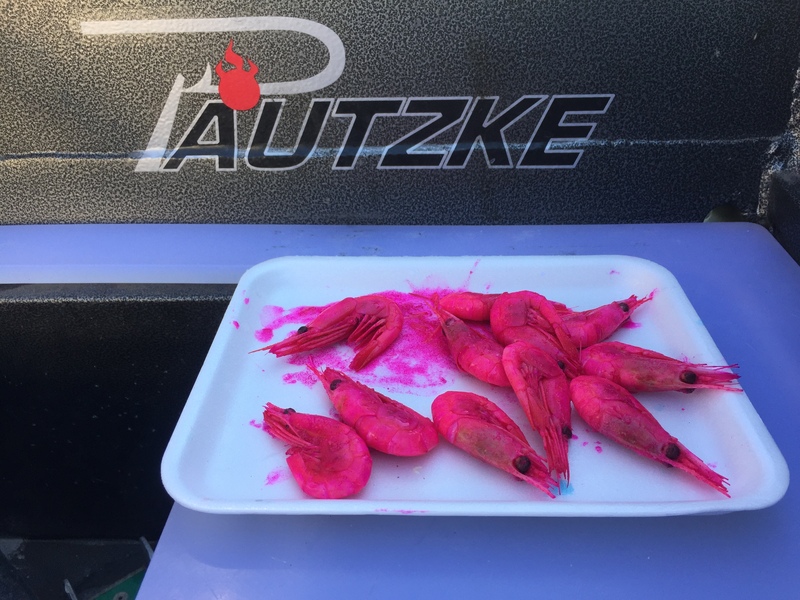 A salmon catching prawn needs to have good color, hold its integrity and offer scent. To achieve this I prefer a dry cure. 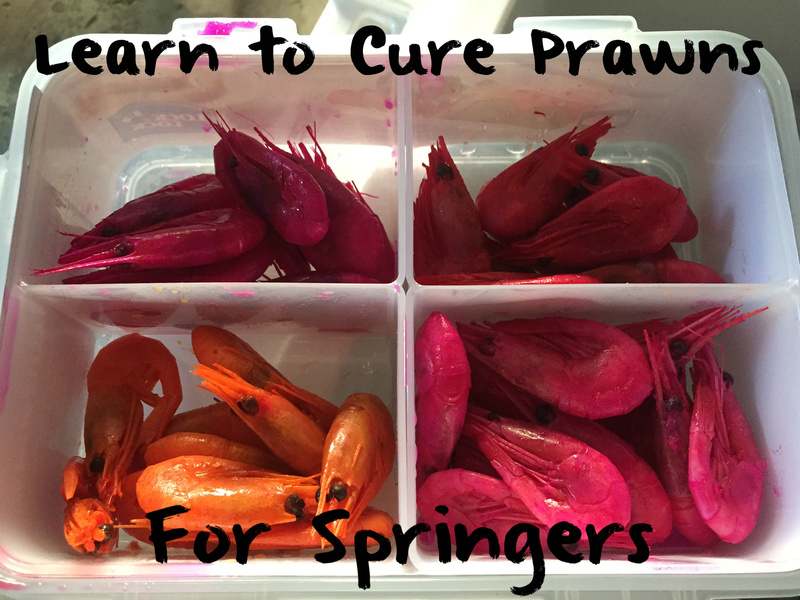 There’s many ways to cure prawns. Some use wet and others dry cures. 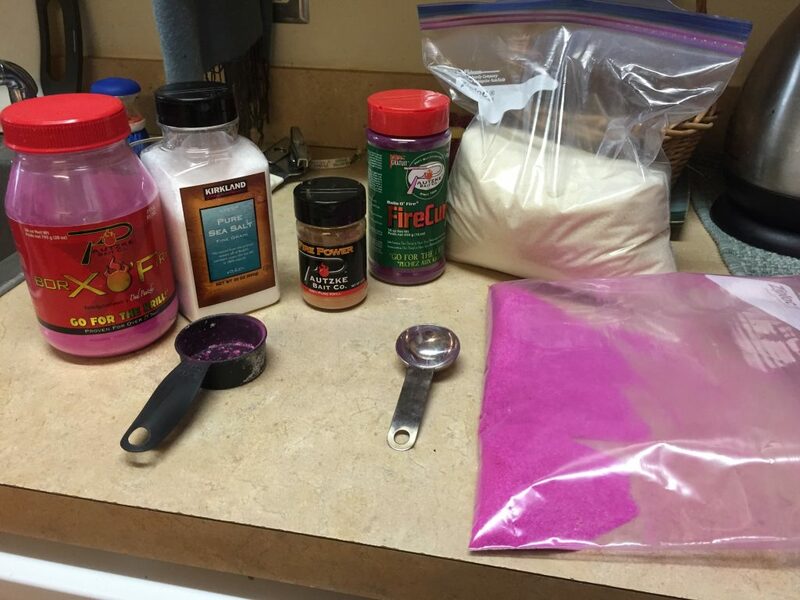 Here are the ingredients I use to achieve my perfect bait. You’re welcome to adjust colors or adds ingredients to fit your personal needs. I make small batches and do more as necessary. 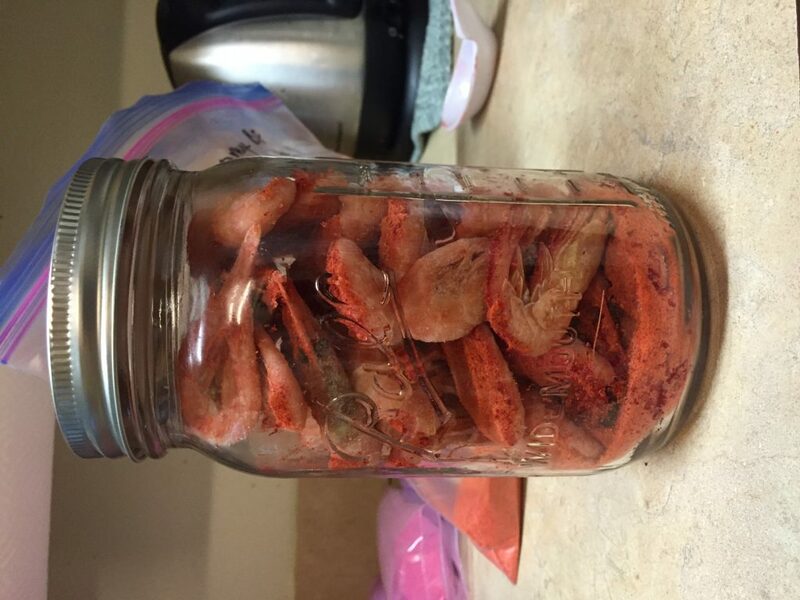 Get a jar to place cure and prawns in. Sprinkle cure on bottom, layer prawns, then add cure. Do this till full. 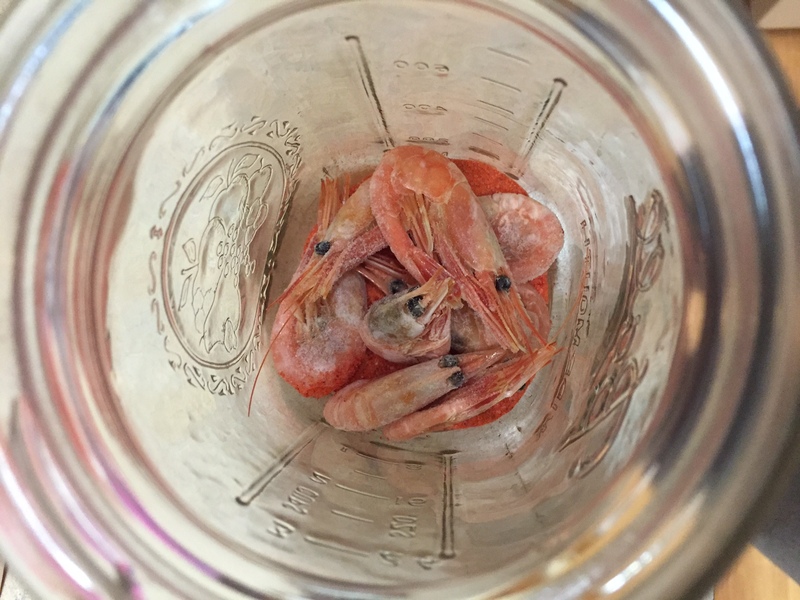 Once you have jar full, secure lid, turn over and make sure the cure covers the prawns. I prefer the prawns be frozen. 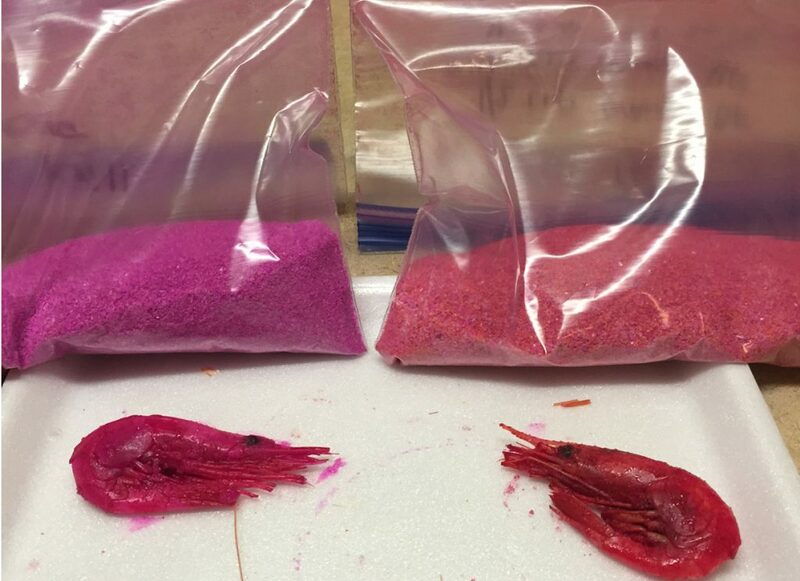 The reason for this is as they thaw the moisture helps mix the cure and the prawns take the color quicker. I like to let them cure at room temperature for 24 hours. 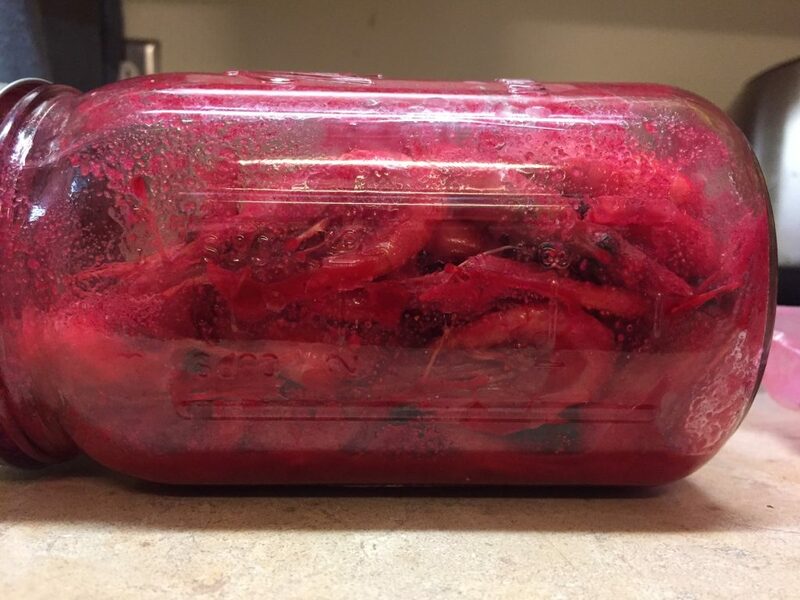 Afterwards, I put the jar in the refrigerator for three days to complete the process. 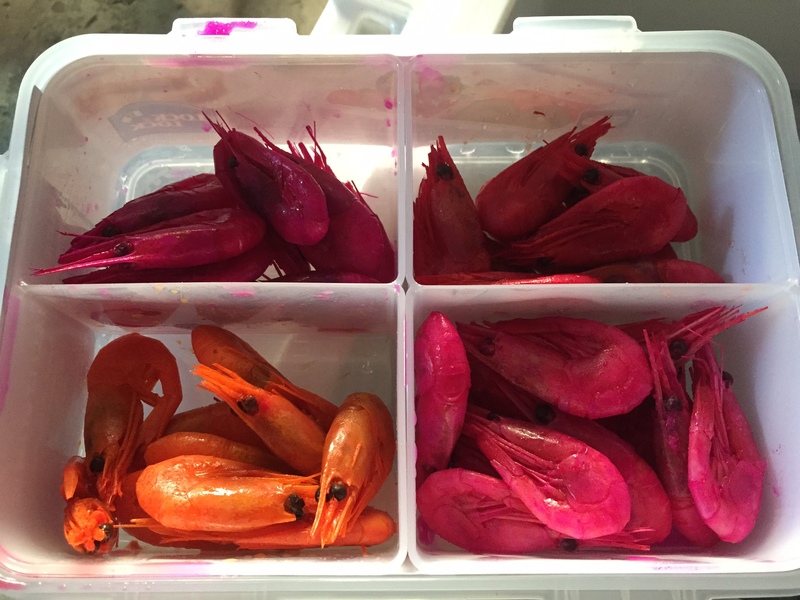 I prefer not to freeze my prawns after curing. Once the prawns are ready let them dry a bit in the container. Feel free to add a bit of salt if you feel the prawns need to toughen up a bit. 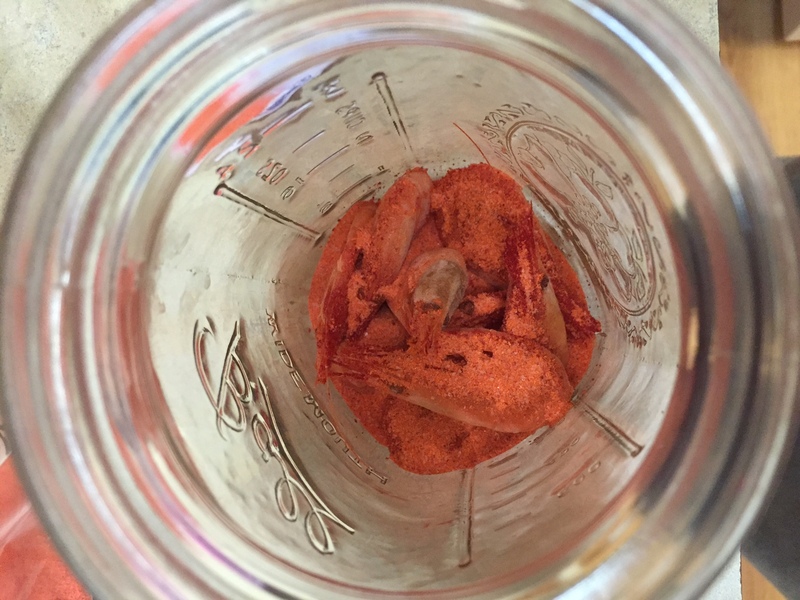 However, removing them from the jar and drying in a container works fine. These prawns are ready to fish.